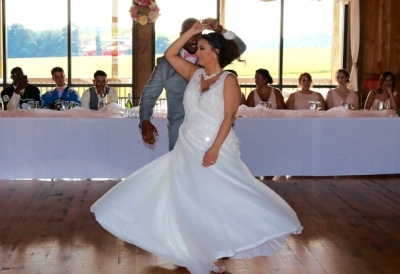 Since 1990 we have been entertaining wedding guests in 8 different states creating lasting memories for not only our newlyweds, but their parents, friends and family as well. We build a day around your vision, your desires, making it like no other couples wedding day. This way your wedding guests will remember your special day in a positive manner for many years to come. Many couples tell us how guests are talking about how great their reception was years after the wedding. It's our job to handle the details and keep the evening moving in a timely manner. We coordinate with your other professionals so that everyone may enjoy themselves to the fullest. Believe it or not but there is a lot that goes on behind the scenes to make your wedding a success. We are not a "cookie cutter" wedding DJ, every event is customized around you and your guests. From start to finish we are there to guide you and keep you on track. 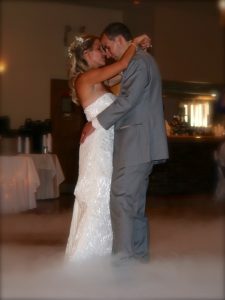 We also offer online wedding resources to assist you in the planning of one of the most important days of your life. Federal and State background check clearances. Green screen (Chroma key) photo booth. Let's customize a background and print strip to make your wedding even more exciting and memorable. We want to capture all of the excitement on your guests faces and keep everyone engaged and entertained while off of the dance floor. Photo favors are the best mementos you could give to your friends and family that they will cherish for a long time. 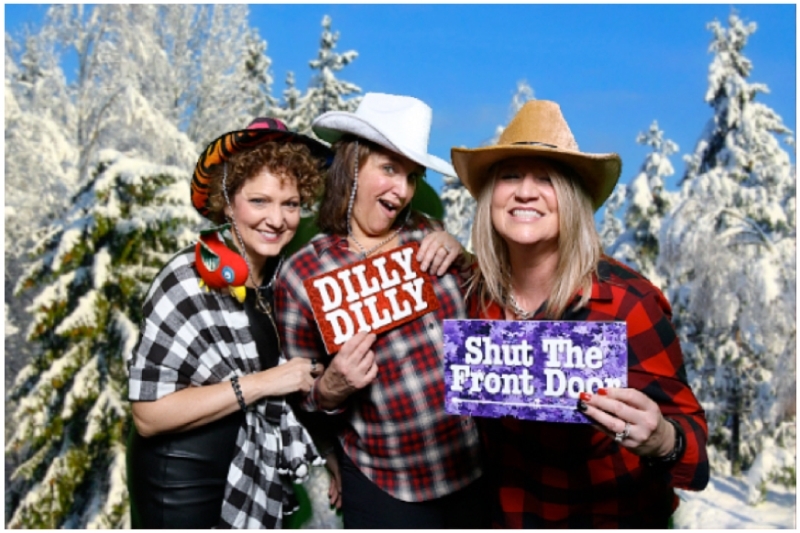 We provide awesome props and our own customized signs, why settle for that same old boring photo booth in a tent? Our open style photo booth offers cutting edge technology and looks great in any venue. Click here to learn about our limited time special memory book offer. Give your venue that wow factor with state of the art LED uplighting. Thousands of color options available. 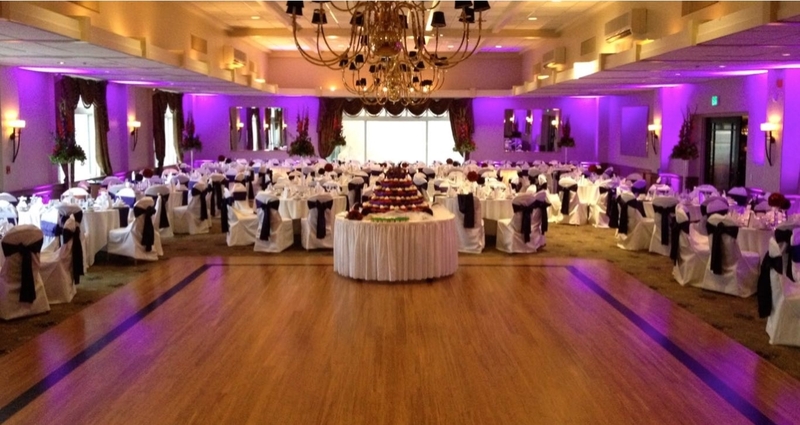 We can match, or compliment your wedding color theme so that your venue is just as gorgeous as you are. Call or email us today to secure your wedding day, and schedule a no obligation meeting to learn how we can make this celebration the best it can be.